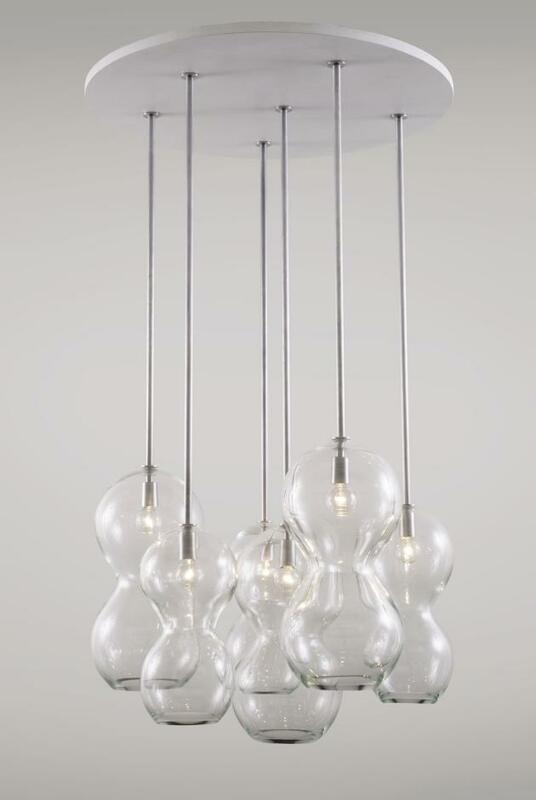 A recent introduction from New York based designer Jeffrey Goodman is the Hourglass Chandelier. 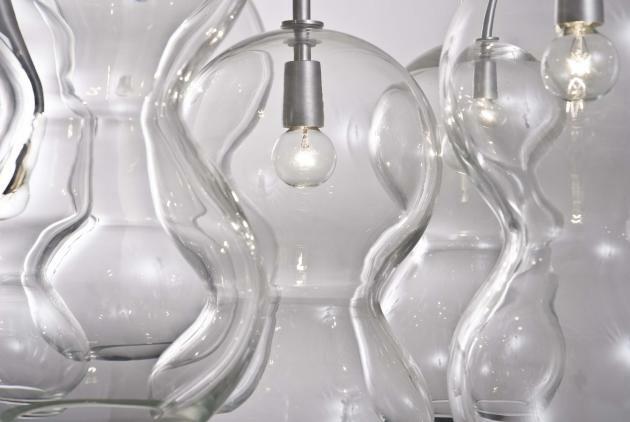 Figurative form, alluring in both its positive and negative space. 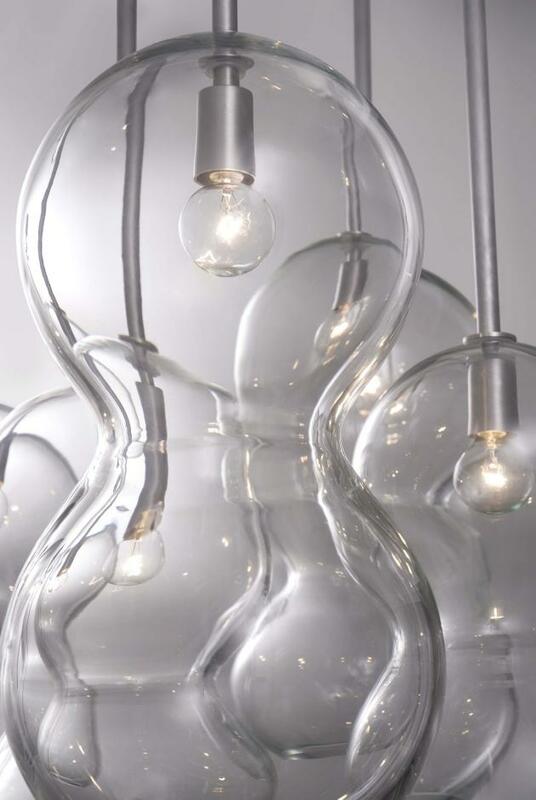 The form is visible directly and through adjacent pieces of the graceful, hand blown glass. 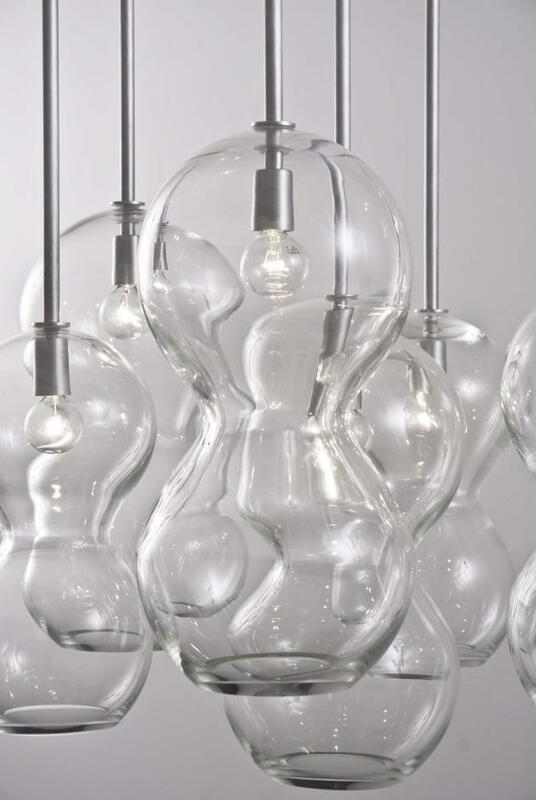 A ring of semi-polished glass at the opening contrasts with the rest of the glass. Visit Jeffrey Goodman’s website – here.